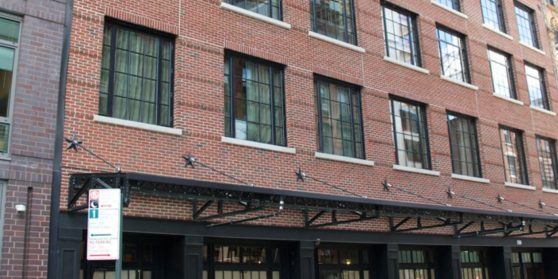 Featuring spectacular views of the skyscrapers and bridges of New York City, this hotel is in the Lower East Side neighborhood of Manhattan. Wi-Fi access is provided in each guest room free of charge. Hardwood floors, handmade silk rugs and artisan-crafted Moroccan lamps are featured in every room at The Ludlow Hotel. A minibar featuring local products is also provided. The private bathroom, decked out in marble mosaics, includes a deep soaking bathtub and brass rain shower. The Lower East Side Tenement Museum is a quarter mile from the hotel, and the New Museum is less than half a mile away. The 2nd Avenue Station on the New York City Subway metro system is just a short walk away, providing easy access to all of Manhattan and Brooklyn. Lower East Side is a great choice for travelers interested in Bars, Art Galleries and Live Music. Guests who stay in this area will also find many fantastic bars and restaurants nearby.